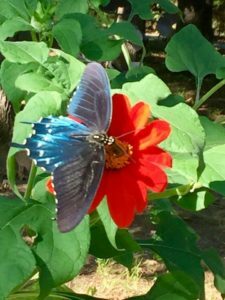 Pipevine swallowtail butterfly on a Will Rogers zinnia. 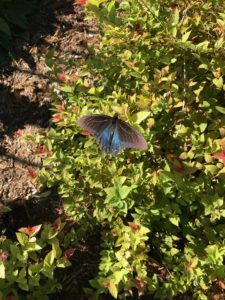 Pipevine swallowtail butterfly on the kaleidoscope abelia. 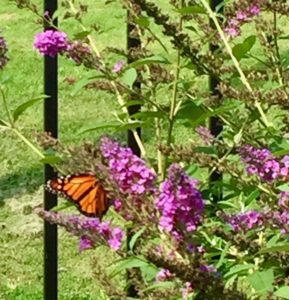 Monarch butterfly on a butterfly bush. 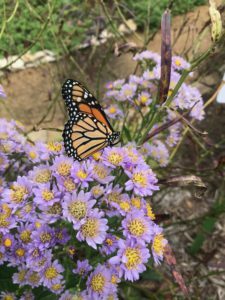 Monarch butterfly on fall Asters. 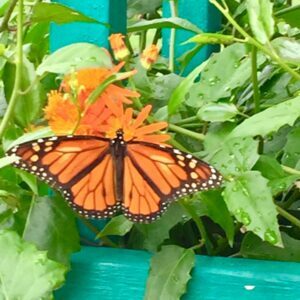 Monarch on Mexican Flame Vine at the entrance to the Secret Garden. 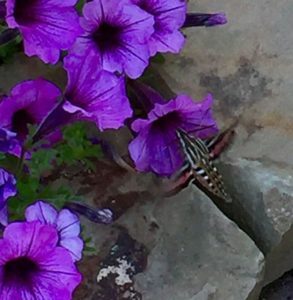 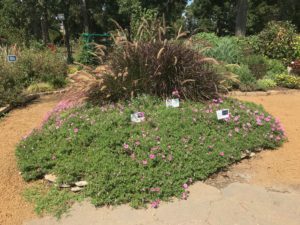 Pollinators in the Oklahoma Proven Perennial bed. 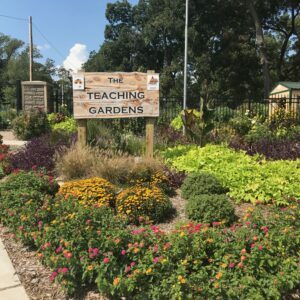 Entrance to the Teaching Garden 2018. 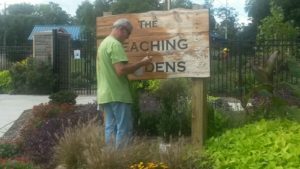 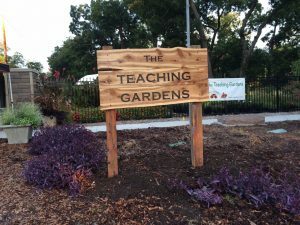 Tom M. staining the Teaching Gardens sign. 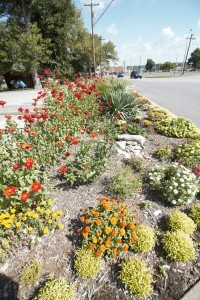 Road side beds in the summer of 2018. 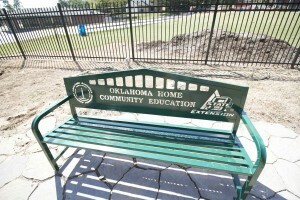 Oklahoma Proven Annual Bed in 2018. 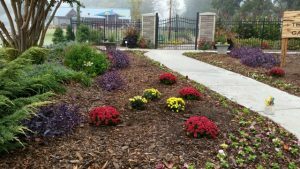 Formal Bed completed in the spring of 2018. 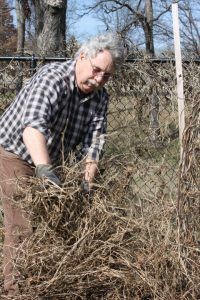 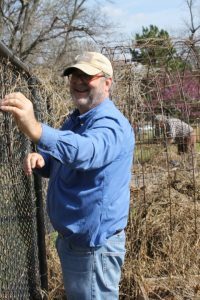 Master Gardener intern, Jerry Henry, pitches in to do some much needed spring clean up. 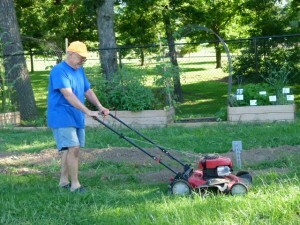 New class member of 2017, Bruce Blackman, gets some volunteer hours in the Teaching Garden. 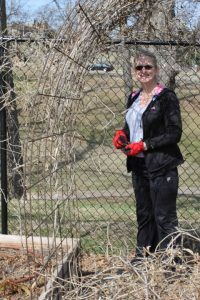 Debra White, class of 2017, readies the arbor for a new climber. 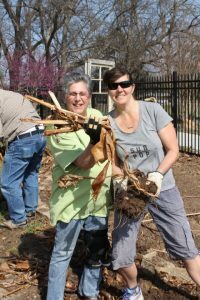 Miriam and 2017 MG intern, Marsha Henderson, contribute to the spring cleanup in the Teaching Gardens. 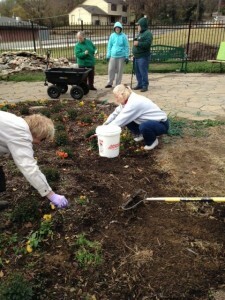 Sue and Allen, class of 2017, preparing the gardens for spring planting. 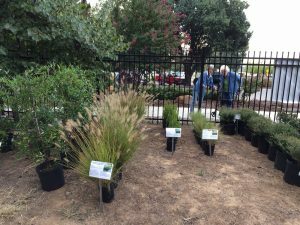 Fall plantings at the entrance to the Teaching Gardens. 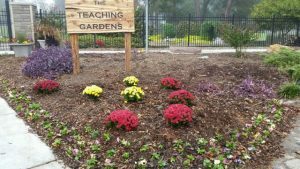 It’s Fall at the Teaching Gardens, and workers have been busying planting pansies and chrysanthemums. 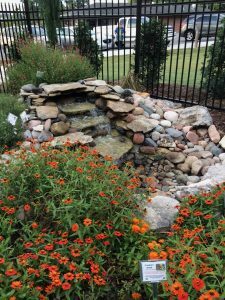 Water feature in the Teaching Gardens. 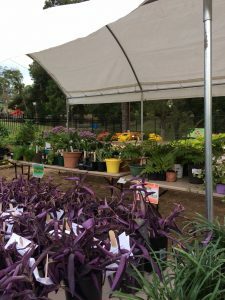 Fall Plant Sale and More – proceeds going toward the Teaching Gardens. 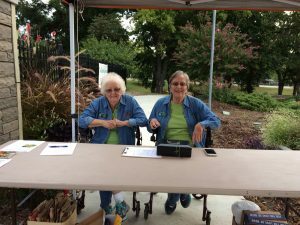 Check out attendants at the Fall Plant Sale. 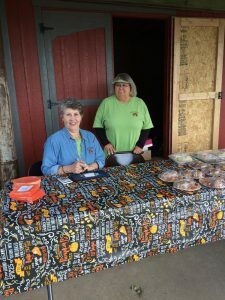 Trying not to be tempted by the delicious items at the Fall 2016 Bake and Plant Sale. 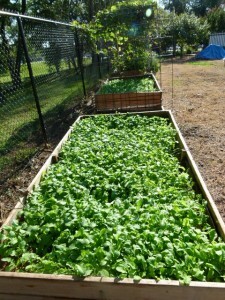 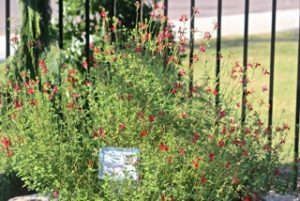 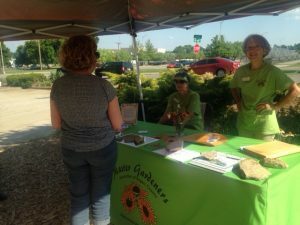 Master Gardener plants for sale! 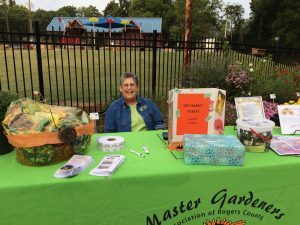 Gift basket and information table at the Fall Plant Sale. 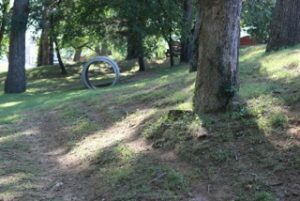 It looks like a drainage culvert, but it is really a tunnel to climb in or a giant tree to climb up! 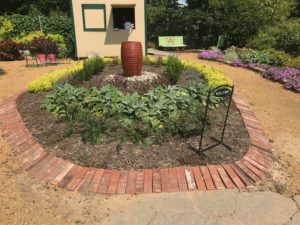 This culvert marks the place where the future children’s garden will be. 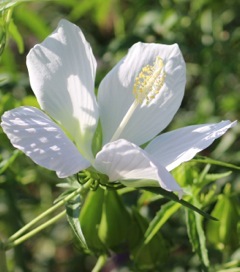 Texas Hardy Hibiscus in full bloom. 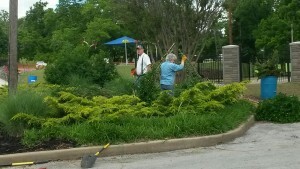 Member of the Claremore Chamber of Commerce and Master Gardeners of Rogers County gather at the entrance of the garden. 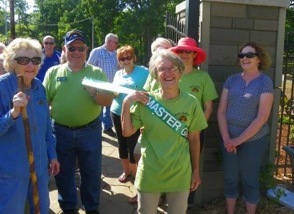 President, JoAnn Lynch welcomes members of the Claremore Chamber of Commerce to the official garden opening. 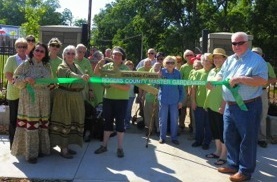 MGARC Co-President, JoAnn Lynch, displays the recently cut ribbon! 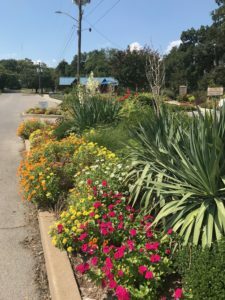 Will Rogers zinnias blooming among other summer annuals at the parking entrance of the Teaching Gardens. 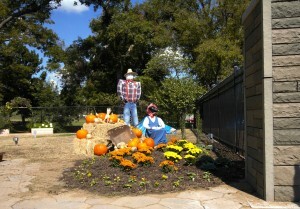 Wanda Clinton and Janice Drehobl stay warm by cleaning up the Fall display area and getting it ready for the Winter display. 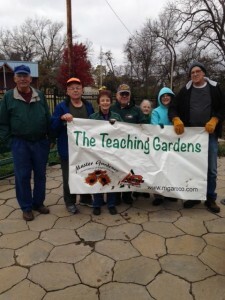 Teaching Gardens Winter Work Crew! 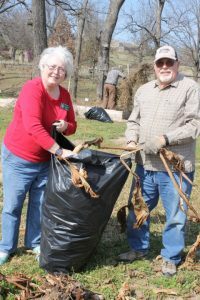 From left to right: Don Fletcher, Jim Stone, Helen DeBell, Ellis Flanagan, Mae Flanagan, Linda Hopper and Butch Kindley.